The Living Center is a therapy office that was founded in 1979 by Gerald Schoenewolf for the purpose of providing psychotherapy to people in the arts. It is a cooperative of therapists who are all schooled in psychoanalysis, but who also use other methods when necessary. The Center is located in the Union Square, Stuyvesant neighborhood in Manhattan. 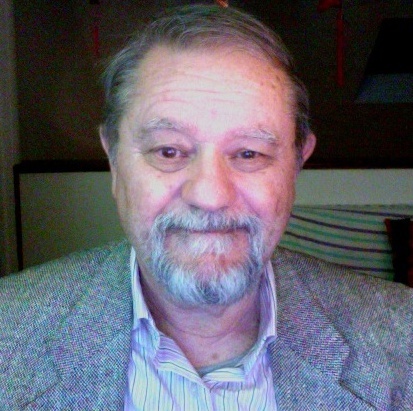 Gerald Schoenewolf, Ph.D. is a licensed psychoanalyst in New York and has been practicing for over 37 years. He specializes in treating people in the arts or professions, but has also worked with adults of all varieties as well as adolescents and couples. He has graduated from three psychotherapy institutes and received a Certificate in Psychoanalysis from the Washington Square Institute in 1981. He has been an Adjunct Assistant Professor of psychology at the Borough of Manhattan Community College since 2002. Dr. Schoenewolf was born in Fredericksburg,Texas on September 23, 1941, the third of four sons of Harold Frederick Schoenewolf and Minna Henrietta Joseph. He graduated from Tivy High School in Kerrville, Texas in 1960, attended North Texas State University for one year, and received his BA at Goddard College in Vermont in 1975. He obtained an MA in philosophy from California State University in 1978 and a Ph.D. in psychology in 1981. He received a Certificate in Psychoanalysis from the Washington Institute in New York in 1981. He currently lives with his wife, Julia (whom he married in 2007) in Bushkill, Pennsylvania. Dr. Schoenewolf has authored over 20 books (see Books), most of which cover psychological topics; he has also published five novels and a book of poetry and drawings. More recently he wrote and directed three feature films. Both Therapy, detailing the relationship between a novice therapist and a patient who has four personalities, and Brooklyn Nights, based on a Dostoevsky story about young love, are now available on DVD from Amazon.com. Dr. Schoenewolf is a member of the National Association for the Advancement of Psychanalysis. He was nominated for a Top Doctor Award by Health Tap. He is on the provider networks of Aetna, Cigna, Empire Blue Cross, Humana, Healthfirst and Paradigm insurance plans. He also accepts patients who have out-of-network provisions in their insurance policies. And for those patients who do not have health insurance or are who do not have health insurance that he can accept, he offers a sliding scale fee.